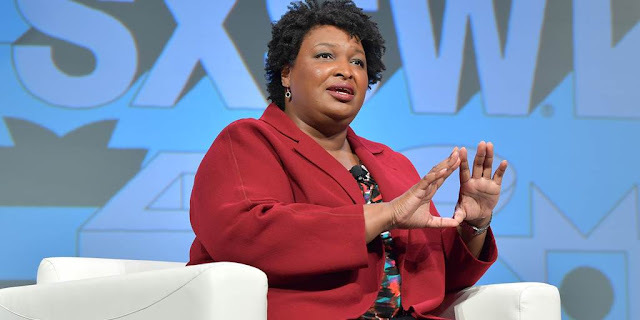 Former Vice President Joe Biden’s aides are debating whether he should launch a bid for the White House with a pledge to make Democrat Stacey Abrams his running mate. AXIOS reported Thursday that his advisers are deeply divided over the idea, with some hoping that it could balance his appeal to Democrats who demand a more diverse ticket and others worried it would be perceived as a gimmick. The private sit-down between Abrams and Biden earlier this month has only fed the speculation, and though details about the meeting have been scant, Abrams’ insiders say Biden made no formal request about running on the same ticket. There’s another catch: Abrams still hasn’t figured out her next step, whether it be a run for U.S. Senate, a bid for governor or prepping her own presidential bid. And her aides acknowledge that while Biden’s team might be pondering a joint ticket, she has yet to firm up her own plans.